Peggy Gordon Sheet Music And Tin Whistle Notes, made famous by Luke Kelly with the Dubliners.This may be a traditional song from Scotland ? 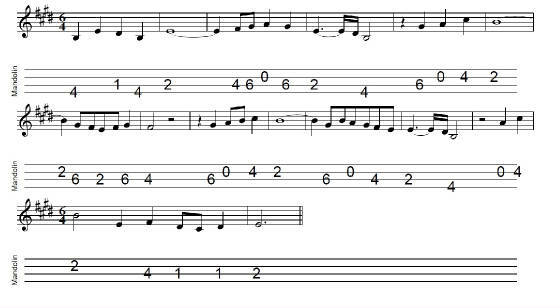 The mandolin tab. is included. Below is another version in a different key.